Amazing staff. Fantastic view. Quieter town on the south part of the island. Costas and his crew were extremely gracious and helpful. 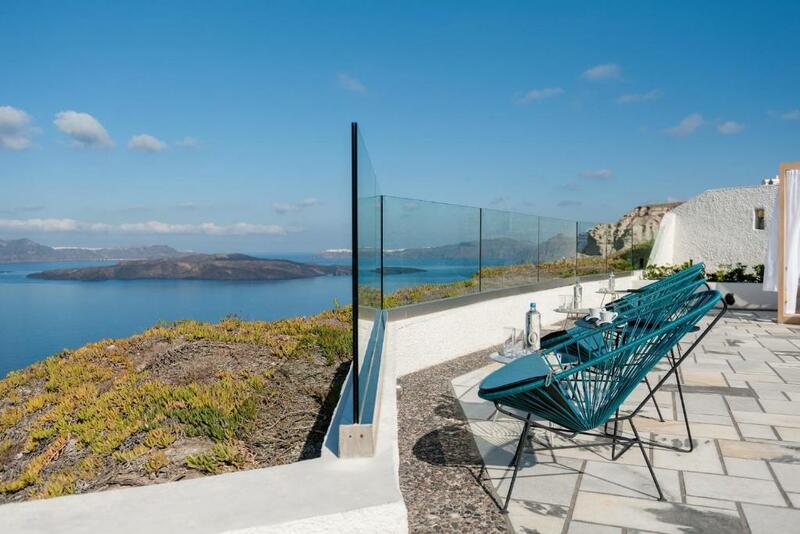 The unobstructed views across the Caldera, The spaciousness of the room and balcony. Breakfast exceeded our expectations, with a choice of room or pool side dining, with a view. Staff were extremely hospitable and very friendly, welcoming us with a drink on arrival and a complementary bottle of local wine in the room. 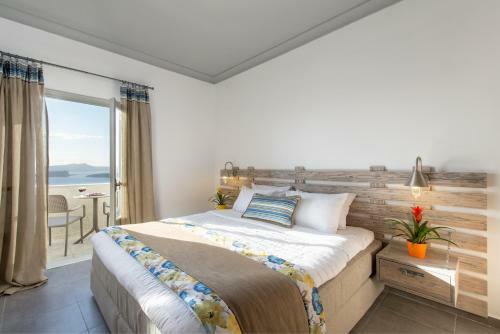 The entire team at Caldera's Dolphin Suites were always smiling, very approachable and extremely professional in every way. Our stay at was right at the end of the season, and got a free upgrade! and we had a brilliant 5 days in megalochori The views were stunning, The pool (although salt water based, its a Santorini water thing) was lovely and warm and well maintained, the food (especially the BBQ!) was fantastic, and the suites were all extremely well decorated and had stunning views. I'd recommend the hotel, and island to anyway looking for a getaway in paradise. The island boasts many beaches, spots for sunsets, and walks where you can explore. The caldera views, the hotel breakfasts, the comfortable bed, the friendly staff. The location is also nice as it’s much quieter, provides more privacy, and it’s nearby a few local wineries with great sunset views. Very friendly welcome, awesome view, perfect room and a lot of good service from the friendly staff. The staff remembers your name and asks how your day was! All the decorative details of the room were perfectly well thought out - the room was modern, airy, spacious and everything we needed. We particularly loved breakfast on our balcony overlooking the gorgeous pool area and the most amazing view of the Caldera. We stayed in the honeymoon suite. The experience was absolutely perfect from start to finish. The staff were so friendly and couldn't do enough to help. Breakfast was vast and delicious, the view stunning, the jacussi just perfect. The staff had laid on fruit, sparkling wine and flowers in our room for our arrival which was a lovely touch. Wouldn't even think about staying anywhere else on the island. Breathtaking. Sehr freundliches Personal, Rezeption rund um die Uhr. Frühstücksservice/Roomservice kostenfrei. Shuttleservice nach Fira / Bushaltestelle fußläufig erreichbar. Sehr ruhige Lage. 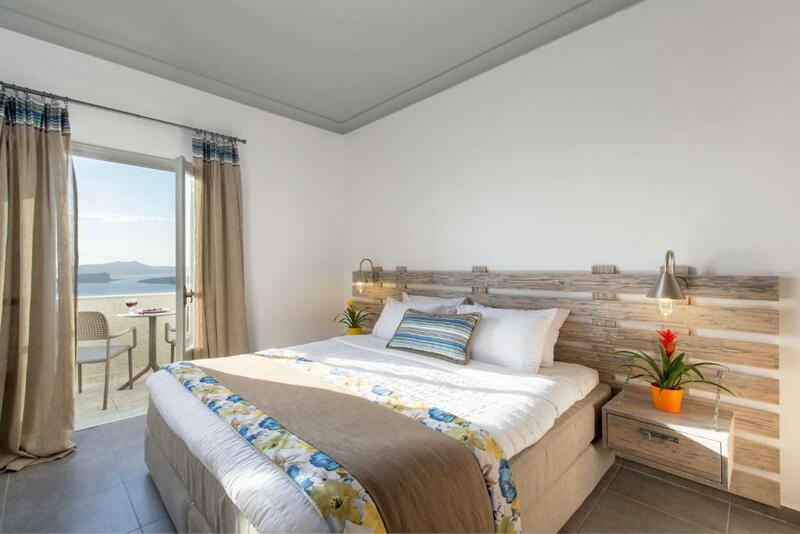 Lock in a great price for Caldera's Dolphin Suites – rated 9.7 by recent guests! 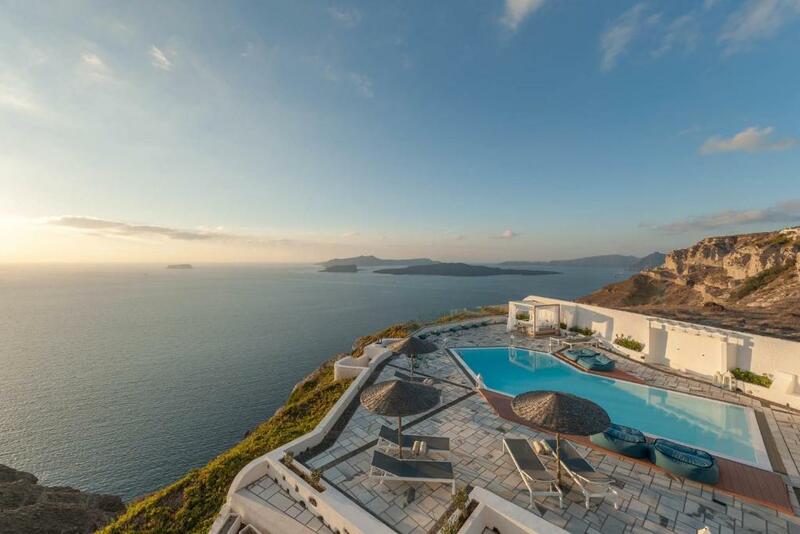 Located in Megalochori Village, Caldera’s Dolphin features a heated outdoor pool with sunbeds and a pool bar. Featuring free Wi-Fi, the spacious accommodations looks out onto the caldera and Aegean Sea from its balcony. Featuring modern and fresh decoration, all accommodations types at the Caldera's Dolphin have a coffee machine and mini fridge. Some units include a seating area. Each enjoys air conditioning, a TV and a bathroom with slippers, toiletries and hairdryer. Caldera’s Dolphin provides private parking on site. Red Beach and Perivolos Beach are within 1.9 mi. 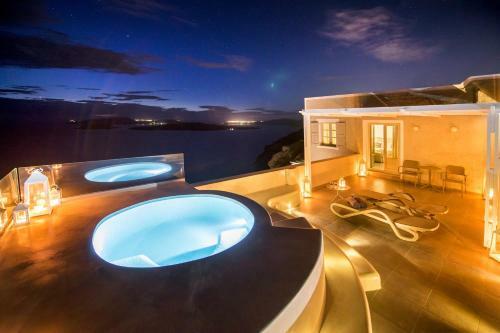 It is 5 mi from the bustling Fira Town. Athinios Port is at a distance of 2.5 mi, while Santorini Airport is 4.3 mi away. 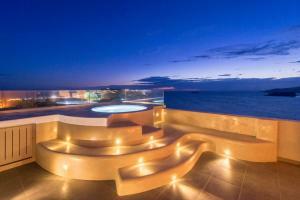 When would you like to stay at Caldera's Dolphin Suites? 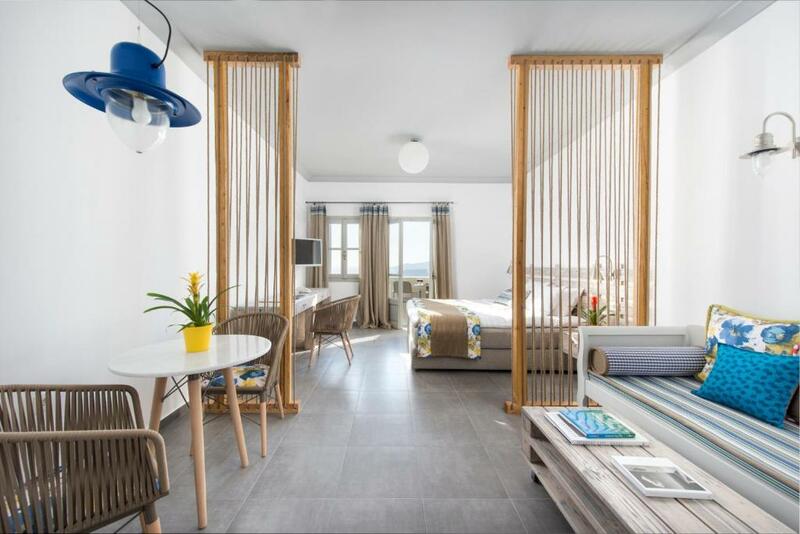 Features modern decoration, a seating area and separate bedroom, this air-conditioned suite overlooks the Caldera and Aegean Sea from its balcony. 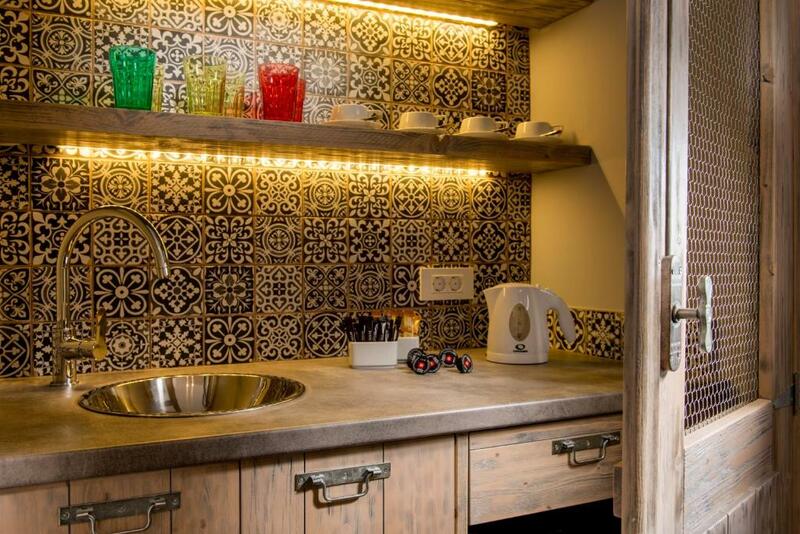 A TV, mini fridge and coffee-tea-facilities are also offered. Offering more space, this room features modern decoration and a seating area. 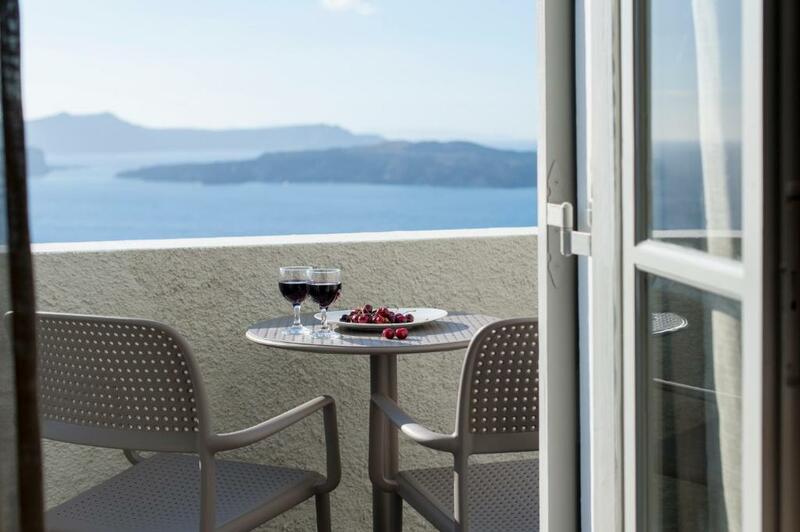 This air-conditioned room features views of the Caldera and Aegean Sea from its balcony. A TV, mini fridge and coffee-tea-facilities are also offered. 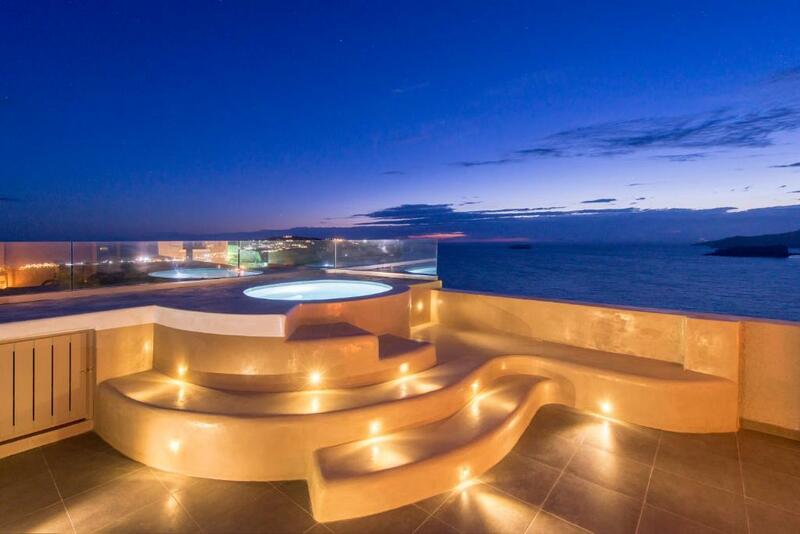 Offering modern decoration, balcony with an outdoor hot tub, this air-conditioned room comes with a seating area. It has a TV, mini fridge and free toiletries. Free Wi-Fi is available. Sun loungers are featured at the balcony. Featuring modern decoration, a balcony with outdoor hot tub and sun loungers, this air-conditioned suite is located at the top floor. It offers a TV and a mini fridge. Free Wi-Fi is available. House Rules Caldera's Dolphin Suites takes special requests – add in the next step! Caldera&#39;s Dolphin Suites accepts these cards and reserves the right to temporarily hold an amount prior to arrival. Caldera's Dolphin Suites accepts these cards and reserves the right to temporarily hold an amount prior to arrival. If not for the hotel’s free shuttle to Fira town, you will want to have access to a car or quad to really see the island. Nothing bad to say.... Just make sure you hire a car in Santorini to see all the sights as it makes life much easier. There was nothing that could have been improved on - everything was perfect.